I remember the early days of learning about Houdini. One of the things that I always assumed was that Houdini started the whole Anti-Spiritualist Exposure Shows. I had no idea that many performers had done this before Houdini. Actually, the whole Spiritualism thing helped to expand the branches of magic. Spiritualism really gave rise to the Escape Act, that Houdini would make famous. 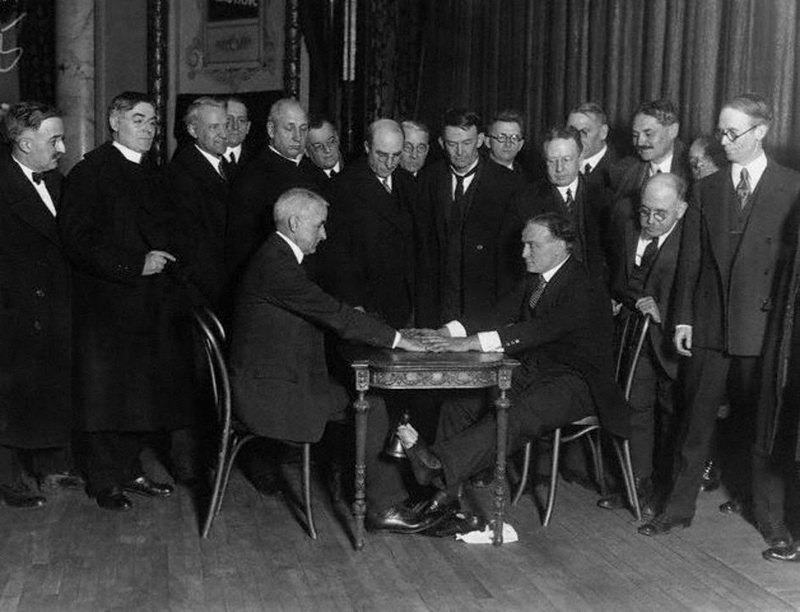 Though feats of mental magic already existed, quite a few really clever techniques came out of the Spiritualism world which revolutionized the Mentalism field. But it's the Spiritualism or Anti-Spiritualism acts I want to discuss. I mentioned before that Wyamn the Wizard is credited as the first magician to do spirit or seance type of magic in his act. He had an immense knowledge of how the mediums did their work and added their techniques into his shows. A slew of performers followed like John Henry Anderson, Robert-Heller, Samri Baldwin, Harry Kellar, John Nevil Maskelyne, and on and on the list goes. Some would demonstrate the spirit effects, others would demonstrate and expose them. Magicians used it as some kind of 'high ground' to say you shouldn't be fooled by such charlatans. Though, they were using the same techniques, lol. But in the defense of the magicians, their job is to entertain by fooling, not to swindle people under false pretenses. The methods of the spirit mediums were fairly well known in magic circles by the time Houdini came along. In fact, Houdini even did some of this mediumistic work early in his career but soon understood how it had a great power to deceive in the wrong ways, and he discontinued it. Later in life, it's been written that he turned on the whole Spiritualism movement when he found they were unable to contact his mother. I suppose even the great Houdini, in a moment of deep emotional grief wanted to believe the claims of these people. But his vast knowledge of deception wouldn't allow him to be fooled by the same kinds of parlor tricks he had been doing for years. So he went on the attack. Houdini certainly wasn't the first to expose spirit mediums and their techniques. But he was the most famous for doing so. His celebrity status combined with this very aggressive approach made his battle with the Mediums front page news. Then, to top it off, he made the Spirit Exposure the highlight of this 3 Part Act during his final tour. I can't help but wonder what Houdini would think about all these Hunting for Ghost Shows on TV these days. I don't think any of them are out there exposing fake phenomenon, but rather trying to prove such things exist, and on a weekly basis. I have a feeling Houdini would have a different take on it all. In a few short days, August 23rd 2014, Potter and Potter Auctions is having a huge auction of Houdini items. Among the items up for auction is a recently discovered Houdini Scrapbook on Spiritualism. 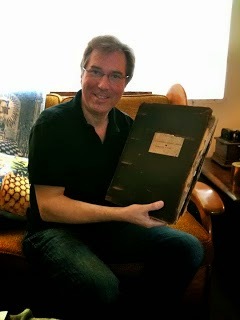 It was none other than my buddy John Cox from WildaboutHoudini.com that first revealed the news of the Lost Spiritualism Scrapbook earlier this year. You can read all about it here. Now, this Scrapbook is available to the highest bidder. The estimates for this item are in the $15,000 to $20,000 range, and it could go even higher. What an incredible resource for the Houdini researcher. I can only imagine what new revelations might come out on Houdini and his battle with the Mediums from this collection of notes and newspaper clippings. Save up your dollars because this incredible piece of Houdini history could be YOURS....or David Copperfield's...but let's hope it's yours.